Updating your shop’s design to a new theme or adding some new product listings behind the scenes? Or just need a break from selling for a while? 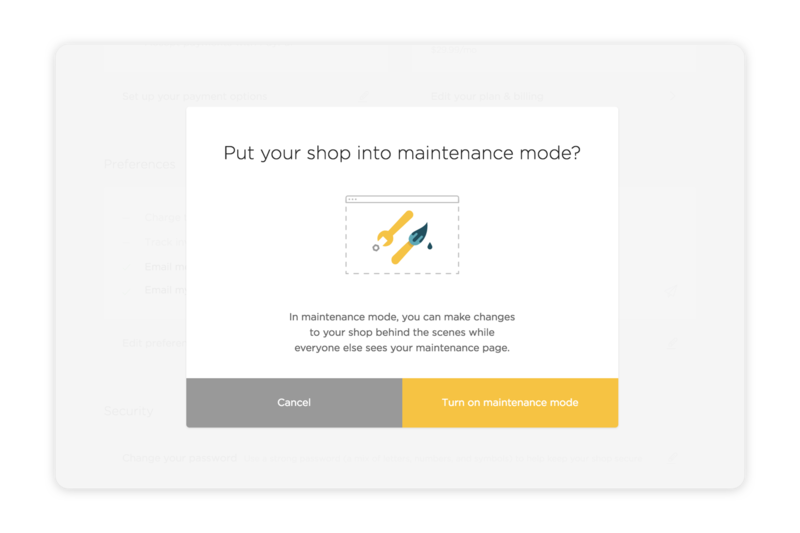 With maintenance mode enabled, you’ll get to work on your shop without your customers seeing what you’re up to. Toggle the maintenance mode setting on > Turn on maintenance mode. Your store is now unavailable to the public. 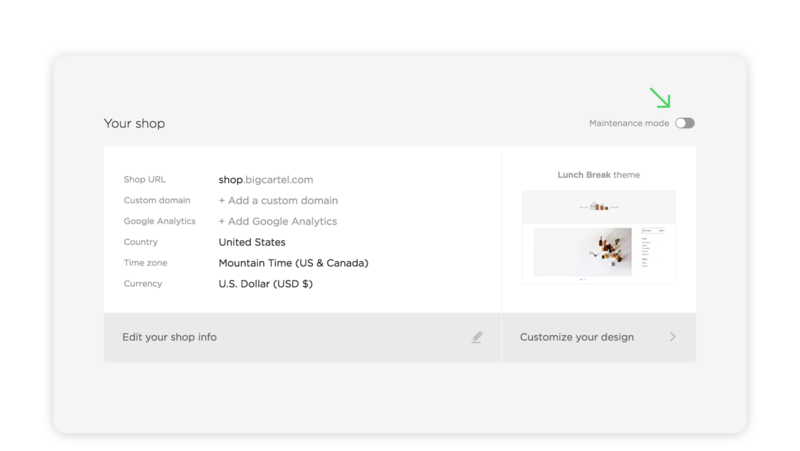 Toggle the setting off when you’re ready to launch your site and make it available to your customers again.